The digital age has given consumers unprecedented access to immediate, and often unfiltered, information about companies, governments, and nonprofits. We can now peek behind the curtain and look at finances, CEO pay scales, environmental and societal costs of a product, internal cultures, and more. We essentially have an all-access-pass to organizations’ internal truths without ever entering their physical doors. Whether companies like it or not, we’re in an age of radical TRANSPARENCY. While this transparency results in greater consumer empowerment, it has also resulted in less trust. Edelman, a global communications marketing firm, conducts an annual global study on trust and their latest results show that trust is in crisis and there is now a battle for truth. And this is not just among businesses and governments. We saw this play out in the news last year around hurricane relief efforts when there was a lot of public criticisms of the American Red Cross and other charities, questioning whether donations would actually go towards supporting the desired cause. Brands and organizations that want to rise above this sea of distrust will need more than an ad campaign to keep or earn back consumers’ trust. Rather, it will require proactive, bold, and even shocking displays of honesty. 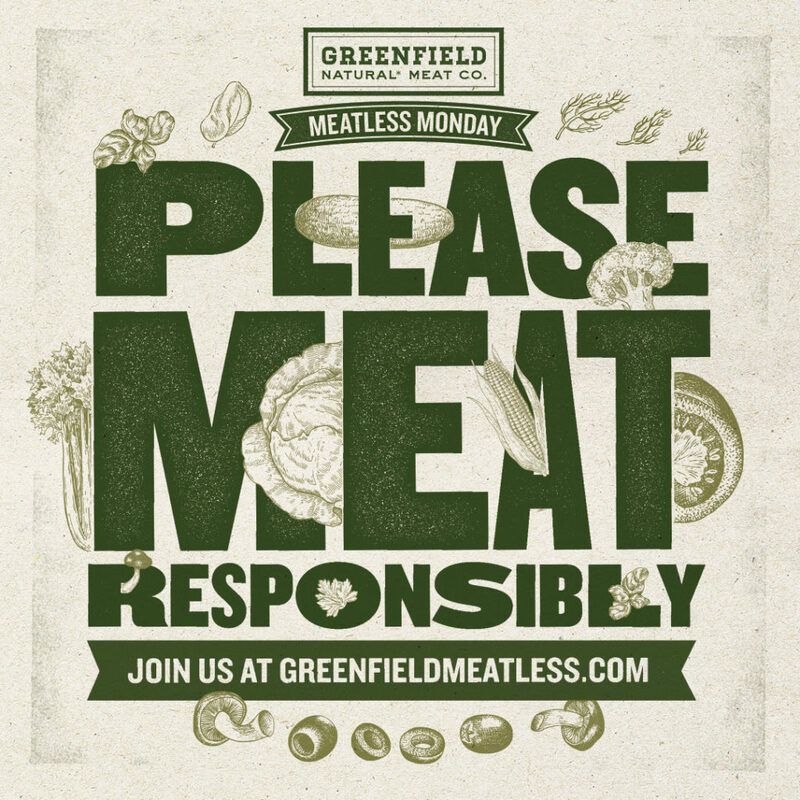 Like how Greenfield Meat company is promoting Meatless Mondays. Yes, you read that right: a meat company is encouraging consumers to eat less meat!!! A shocking display of honesty? SUPER DUPER CHECK!!! I’m still floored by the willingness of this company to wear all of this truth on its sleeves. It changes the game when it comes to our expectations of brands and companies. The bar has just been seriously raised. 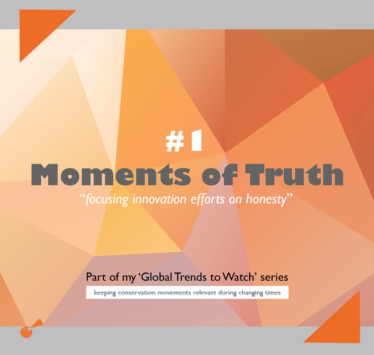 As I noted before, nonprofits and environmental causes are not exempt from consumer distrust or from the opportunity to demonstrate your unique Moments of Truth. Where can you pull back the curtains and provide full access and transparency? How can you take an honest stance on impact and show off the good you’re doing? Are you willing to be proactive and bold?